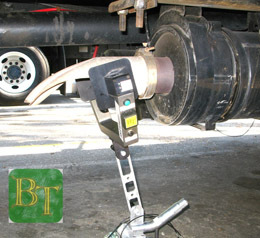 The company, Beryl Technologies, LLC assembles and manufactures Opacity Smokemeter for Heavy Duty Diesel Trucks in California. Our products are produced with the finest of workmanship and quality available. In the event of possible problem, the following limited warranties apply. The company, Beryl Technologies, LLC warrants that the hardware is free from defects in materials and workmanship under normal use for a period of one year from the date of shipment. These items include meter, full flow sensor, partial flow sensor, and pole assembly. The company, Beryl Technologies, LLC warrants that the consumables are free from defects in materials and workmanship under normal use for a period of 90 days from the date of shipment. These items include batteries, external keyboards, cables and adaptors. Beryl Technologies, LLC warrants that the Software media used is free from defects in materials and workmanship under normal use for a period of one year from the date of shipment. The warranty registration card must be filled out and returned within a period of 60 days from the time of purchase. All limited warranties will be null and void without its timely return. Return / replacement requires a valid Return Material Authorization and number from Beryl Technologies, LLC. This product may be returned in original unused (Internal SAE test counter can not be greater then 2) condition for any reason within 7 calendar days from the date of purchase for a refund of the purchase price of the product (shipping is not refundable). This does not apply to any items purchased by leasing. Hardware and consumables - You may return the hardware via UPS ground to the address shown on the contact page with postage paid. Beryl Technologies, LLC shall repair or replace the warranted piece and return the product postage paid. Software: The Software medium (Disk, CD, etc) may be returned to the address shown below postage paid. Beryl Technologies, LLC shall repair or replace the warranted piece and return the product postage paid. In no event shall Beryl Technologies, LLC or its suppliers be liable for any damages whatsoever (including, without limitation, damages for loss of business profits, business interruption, loss of business information, or other pecuniary loss) arising out of use or inability to use the product or parts of the product, even if advised of the possibility of such damages. Because some jurisdictions do not allow an exclusion or limitation of liability for consequential or incidental damages, the above limitation may not apply to you. It is hereby understood and agreed that this warranty shall not apply to claim and claim expenses based upon, or arising out of this product or parts of the product. The sole liability of Beryl Technologies, LLC under this warranty is for the price paid for this product. This warranty is limited to purchaser and is not transferable. Any implied warranties are limited to the warranty period. Some jurisdictions do not allow limits on the duration of an implied warranty, so this limitation may not apply to you. 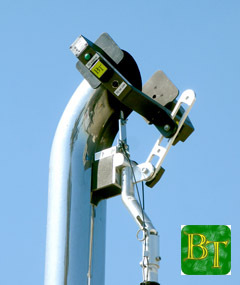 The company, Beryl Technologies, LLC does not warrant for misuse and abuse of equipment. Misuse includes items such as dropping, water damage, using equipment beyond its normal limits, smoke and fire damage, etc. 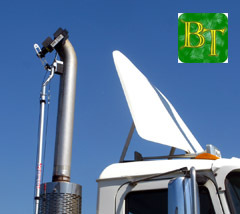 Beryl Technologies, LLC does not warrant that the functions of the product or parts of the product will meet your requirements or that operation of the product or parts of the product will be uninterrupted or error free. You assume responsibility for selecting the product or parts of the product to achieve your intended results, and for the use and results obtained from the software or product. Beryl Technologies, LLC disclaims all other warranties, express or implied, including but not limited to implied warranties of merchantability and fitness for a particular purpose, for the product or parts of the product and all accompanying written materials. This limited warranty gives you specific legal rights. You may have others, which vary from jurisdiction to jurisdiction. Software is distributed via downloading from the web page. Distribution access is grated to registered smoke meter purchasers. The basic level software is provided free of charge. The software terms and conditions are outlined in the software's end user license agreements "EULA" contained within the software distribution package. This license is effective until terminated. It will terminate upon your breach of any term of this license. Upon termination, you agree that the software and accompanying materials, and all copies thereof, will be destroyed. This agreement is governed by the laws of the State of California. By using the equipment or software, you acknowledge that you have read this agreement, you understand it, you agree to be bound by its terms, and that this is the complete and exclusive statement of the agreement between you and Beryl Technologies, LLC regarding the software and product unless otherwise agreed in writing. See the RMA form on the Support page. See the contact page for Shipping address. Copyright © 2009-2018 Beryl Technologies, LLC. All Rights Reserved.